Looking to add a new view in Google Analytics? With Google Analytics, you can have up to add up to 25 views to a single property. In this article, we’ll show you how to add a view to one of your website properties in Google Analytics. What is a view in Google Analytics? 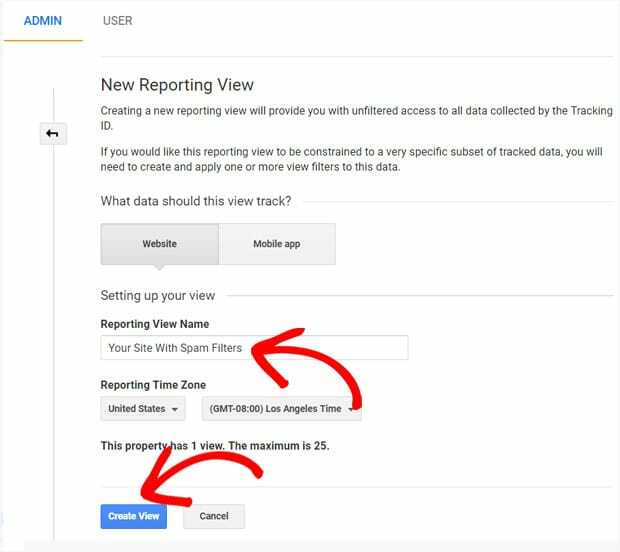 A reporting view is a place in an Analytics account where you can view reports and analysis tools. Google Analytics automatically creates an unfiltered view for each property in your Google Analytics account. But you can setup up to 25 views on a single property. Why Create Another View in Google Analytics? You need to add a filter of any kind. You should always maintain an unfiltered view in case an error is made when creating the filters. Filters are destructive, and the data is unrecoverable. So keeping an unfiltered view will serve as insurance that you still are able to see the data in case of an accident. You need to create a User-ID View for seeing users logged into your membership site. If this is your goal, then please instead follow our guide: How to Set Up User Tracking in Google Analytics. Your Analytics profile for your websites consists of 3 different components: accounts, properties, and views. Account: You need to have at least 1 account to access the analytics report. Property: A property can be a website or a mobile app that you’d like to track in Google Analytics. For usage with MonsterInsights, each property (associated with a unique UA code) will be associated with a website. View: A view is the access point for your reports. For example, within a property you can have different views for viewing all the data for example.com, viewing only a specific subdomain, like blog.example.com or viewing only logged-in User-ID traffic. For complete instructions, please see our guide: How to Set Up WordPress User Activity Tracking in 3 Easy Steps. If you are looking to add create a new view in Google Analytics, you’ll need to already have set up a Property for that site. If you haven’t done that yet, please see our guide: How to Add a Property in Google Analytics. 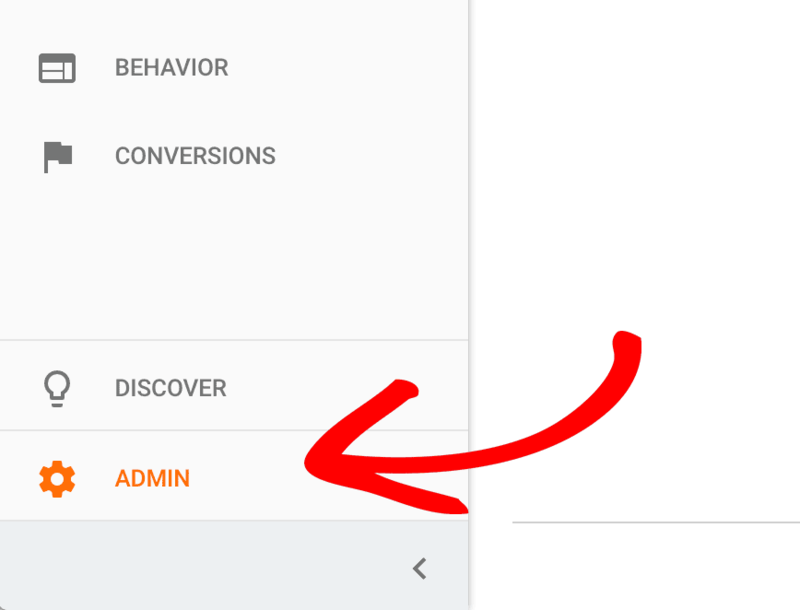 Now let’s take a look at how to add a new view in Google Analytics. Prerequisites: You have already created a property for your website. 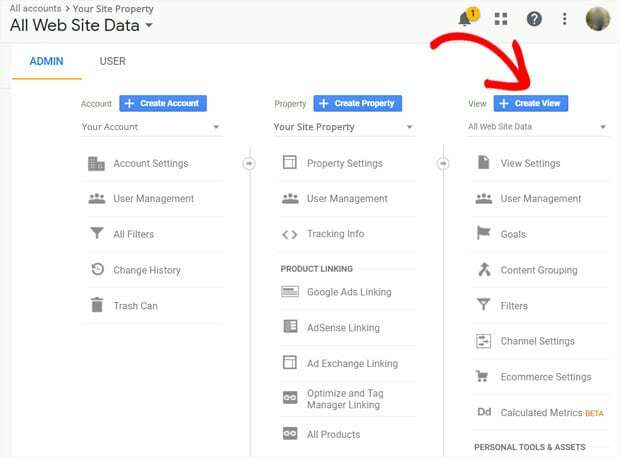 If you haven’t yet created a property for your site, please see our guide: How to Add a Property in Google Analytics. Step 1: Navigate to analytics.google.com. Step 2: Navigate to the Property for your site and select a view. Step 3: Navigate to the Settings area for that Property. Step 4: Click to create a new View. Step 5: Complete the relevant information including a descriptive name for this view and the correct time zone.